Submission Grappling Baldwin Park | MMA Fighting Events Videos Techniques UFC Fight Picks and News. If you're in the Baldwin Park area and have been training in MMA, this Saturday April 30, you can show off your submission grappling skills. Dee Martinez of Judo-Box is having his Annual Birthday Submission Wrestling Tournament in Baldwin Park. If you've been to them before, you know he does them backyard boogie style and they're a lot of fun for competitors and spectators alike. Whether your grappling background is in wrestling, Brazilian Jiu Jitsu, Judo and or Sambo, Dee Martinez welcomes you to come down and show of your skills. Cash prizes and medals will be given out ant the end of the tournament as a thank you and appreciation for your participation. This submission wrestling tournament is open to all weight classes as well as both males and females. Weigh ins will be from 12 p.m. - 3 p.m. The first match will begin at 3:30 p.m. Participation is only $10. If you want to come watch the submission grappling tournament, spectators are free but are encouraged to donate water, soda, snacks, etc. They will also be raising money for the Japan Earthquake Relief Fund so come show your support. 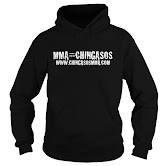 Chingasos MMA will also be on hand to shoot a highlight video and to take pictures, so bring your "A" game. Here's some pictures and video from a while back.